See more objects with the tag interior, domestic, streamlined, home, tool, rubber, plastic, laundry, iron. This is a iron. It was made by American Electrical Heater Company. It is dated ca. 1945 and we acquired it in 1991. Its medium is metal, plastic, rubber, electrical components. It is a part of the Product Design and Decorative Arts department. 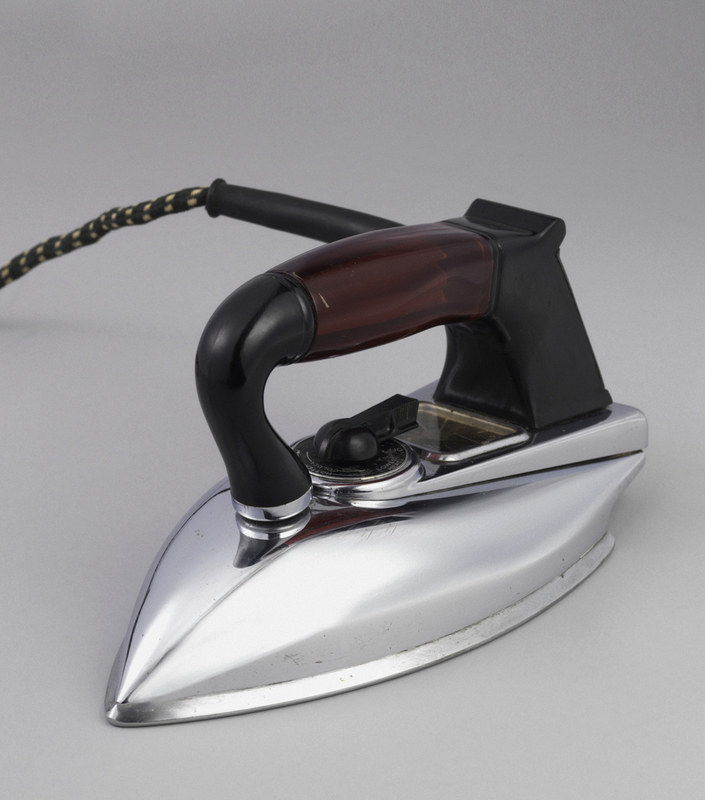 The streamlined American Beauty iron was produced in three versions including two whose phenolic plastic handles had tubular center sections in transparent red or amber Lucite. This handle configuration was not only decorative, but practical. 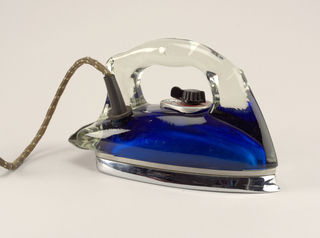 The iron’s electrical connections were enclosed in the handle’s rear section which could be detached for repair. Separate sections also facilitated the molding process during manufacture. Three patents were issued for the handle between June, 1940 and September, 1941.